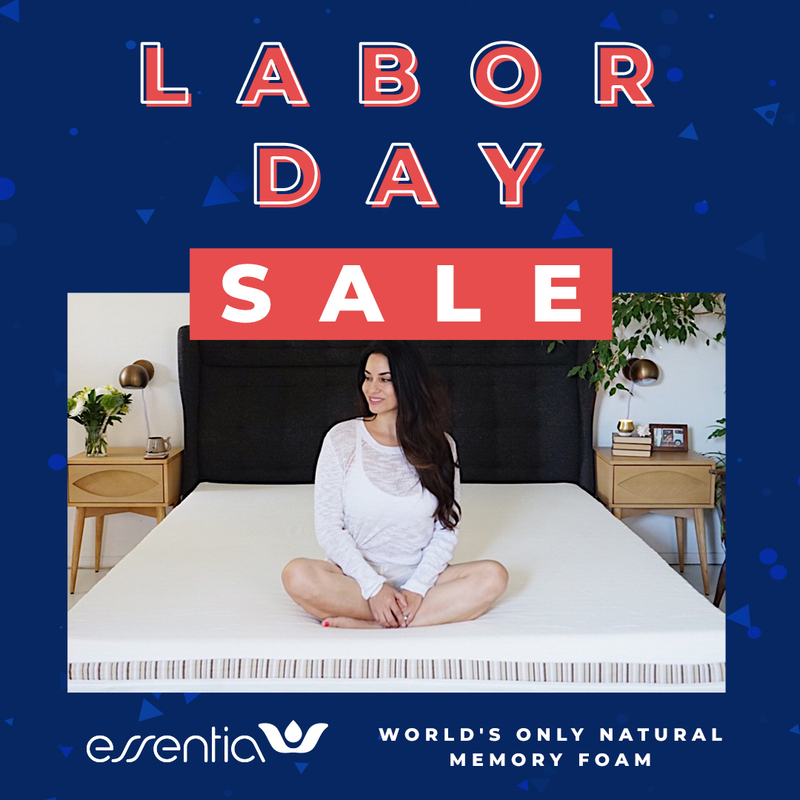 This is your chance to save up to $1900 on your Essentia mattress, that includes 2 FREE Comfort pillows ($298 value)! 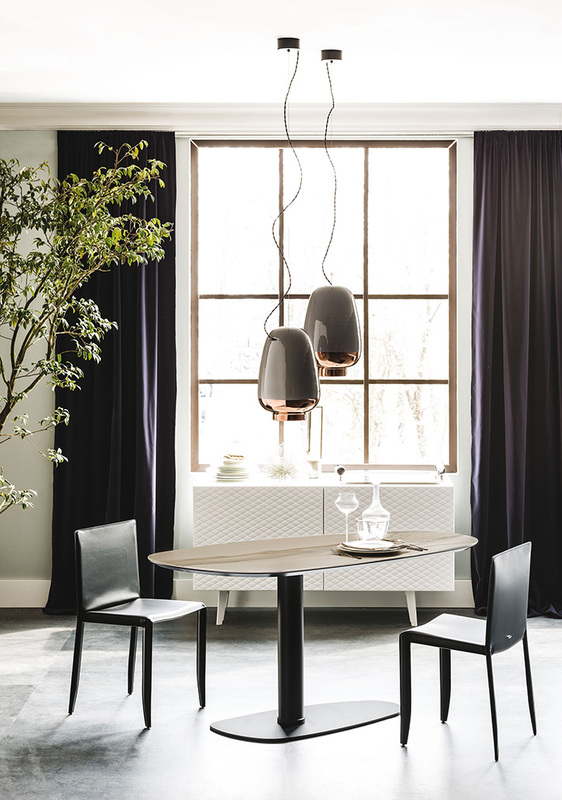 Natuzzi Italia dominates the universe of luxury furnishings with their uncompromising dedication to industry-leading technologies and precious handcrafted fabrics. 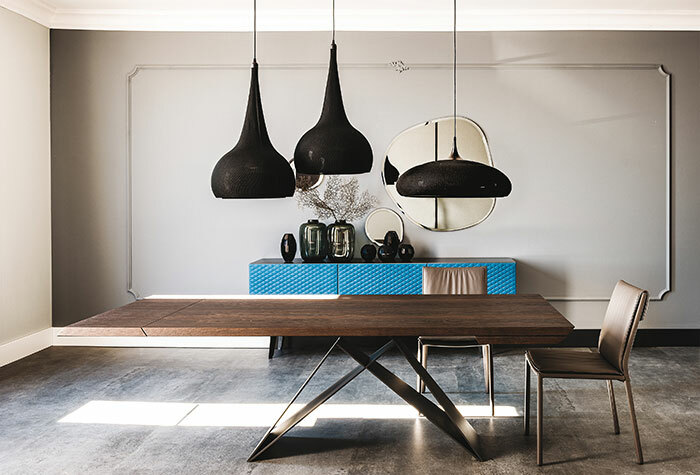 But what really sets this design house apart is their willingness to boldly go beyond the simply stylish, the trendy modular, and probe the province of the true original, where often their mass-market contemporaries fear to tread. Enter the Galaxy Sofa. 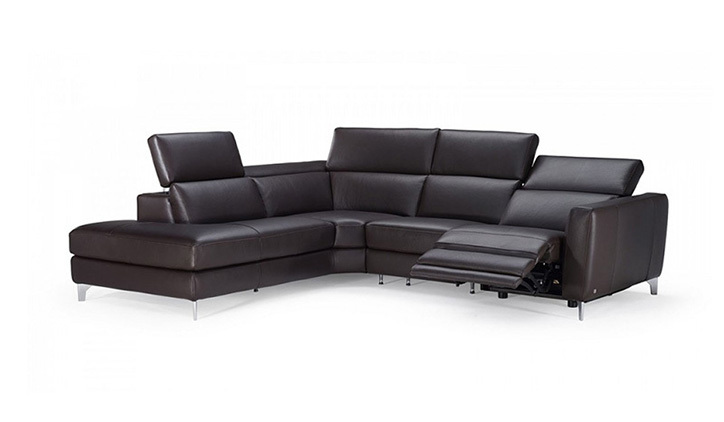 Natuzzi for years has explored the outer limits of recliner design with new technology like the zero wall system, pioneering ergonomically placed, hidden, built-in fingertip controls, and dual function headrests. 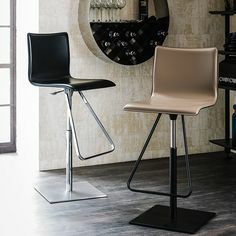 Galaxy is a full expression of these break throughs, balanced in a piece centered on pure comfort and superb flexibility. They begin with a spacious, incredibly comfortable, invitingly lush sofa the draws you into its orbit with inviting curves and soft, deeply padded seats. 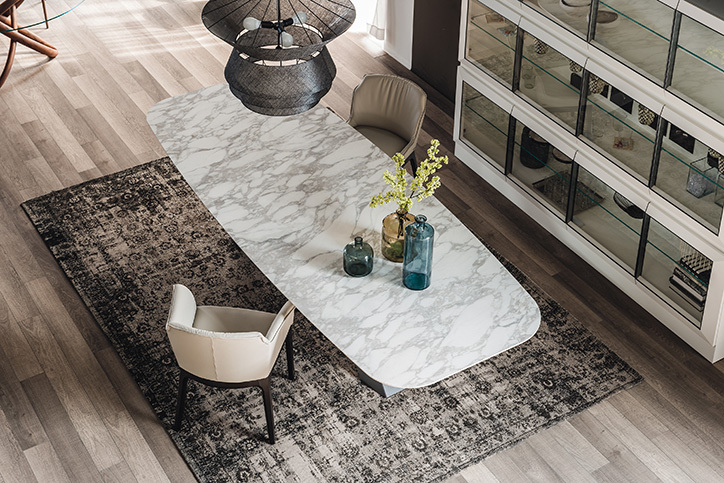 It is positively expansive and yet the interior designer at Italian Design Interiors surprisingly informs you that Galaxy can fit easily into your Back Bay apartment. It’s a recliner? Isn’t that something Grandpa sits in to watch the nightly news? Galaxy is to recliners what the Starship Enterprise would be to Buck Rogers; a marvel. It’s not a capsule it’s a bridge, a destination in the realm of comfort where your journey of relaxation begins. 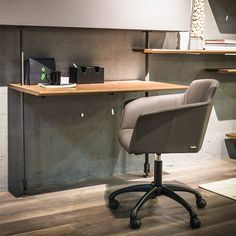 You choose your unique footrest, adjust them effortlessly, even aligning the headrest forward slightly to support your command (of the home entertainment center) perfectly. Snuggle in and enjoy your favorite sci-fi remake as a family. 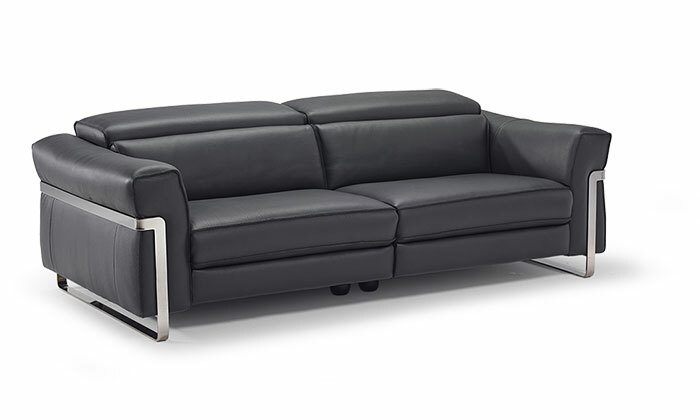 Available in corner and inline version, two or three seats, countless other configurations, and dozens of leather and fabric options. 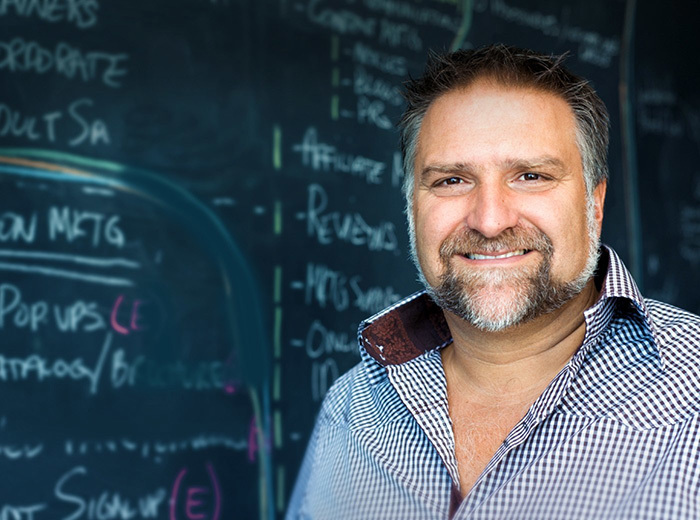 The sky is the limit when you and your IDI personal design consultant visualize your living space with Galaxy as the conceptual center. 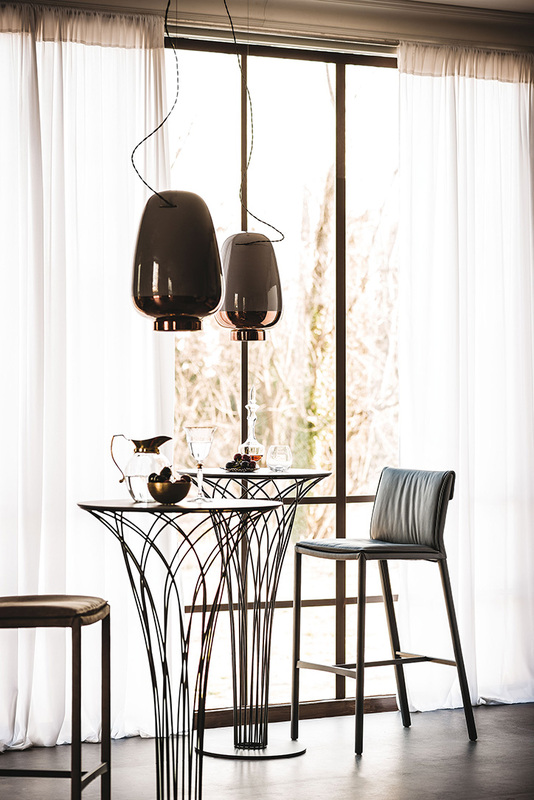 The thrust of this transformative furnishing is Natuzzi’s selection of fine leathers and upholstery imaginatively applied to heirloom quality structural materials. The lines and form are inventive and timeless in their execution. This allows Galaxy to pose beautifully beside the latest contemporary tables and settees, or anchor beside nineteenth century hardwood antiques. 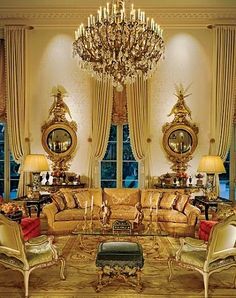 It’s a language of design that transcends period and works fluently in rooms influenced by many cultures. The person reclining on the sofa commands the focus. 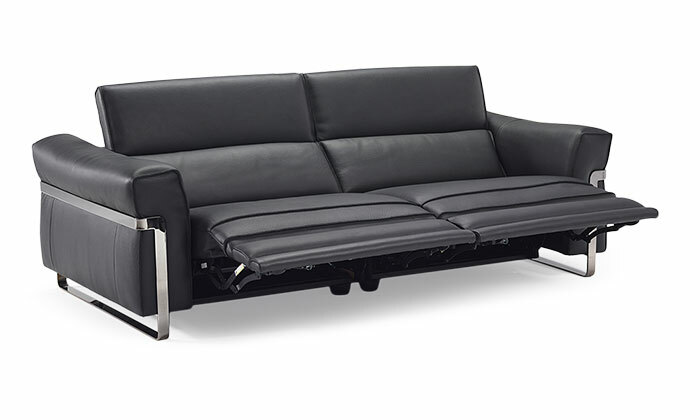 The choices that inform this design, the completely hidden mechanics, the cushioning that adjusts to the individual, the preciousleather insert on the armrests tucked in so elegantly, all enhance the comfort experience. 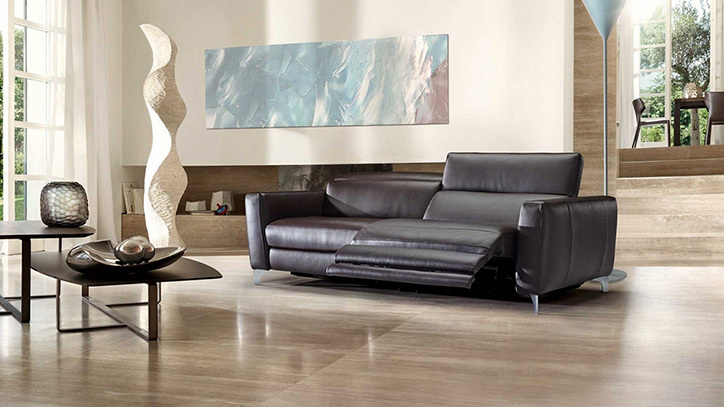 Italian Design Interiors Watertown showroom offers the largest collection of Natuzzi Galaxy Sofas on display and available for your test-flight in New England. Boldly go! It’s been said that, if there is one symbol that represents French society and its joie de vivre, it is the Paris cafe. The very phrase drums up images of cobblestone streets with colorful awnings, quaint chairs, and coffee with the foam just right resting on a marble bar. 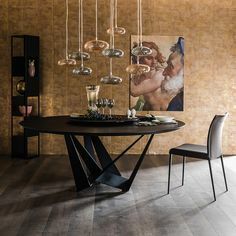 If you feel as at home in this setting as you do in, well, your home, why not merge the two by bringing the Nido Keramik Bar Table by Cattelan Italia into your abode. 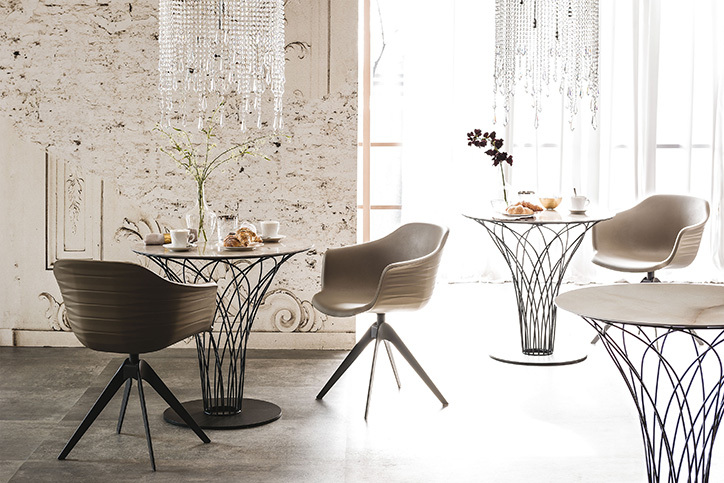 The Nido Bar table captures the very essence of the perfect Parisian cafe, with it’s ceramic top, available in three elegant and picturesque finishes, and it’s unmistakably Parisian frame, also available in thee ideal finishes to suit your exact decor needs. 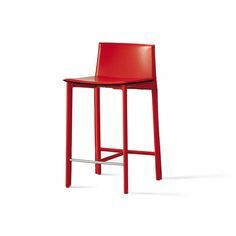 Set next to a pair of distinct bar stools or standing alone, the Nido Bar Table provides that much longed for je ne sais quoi to any home. 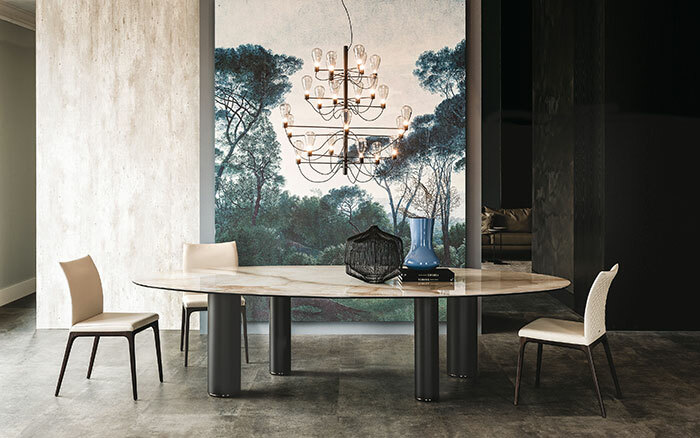 Cattelan Italia designers Andrea Lucatello and Giorgio Cattelan have created a sleek, flawlessly elegant dining masterpiece for your home. 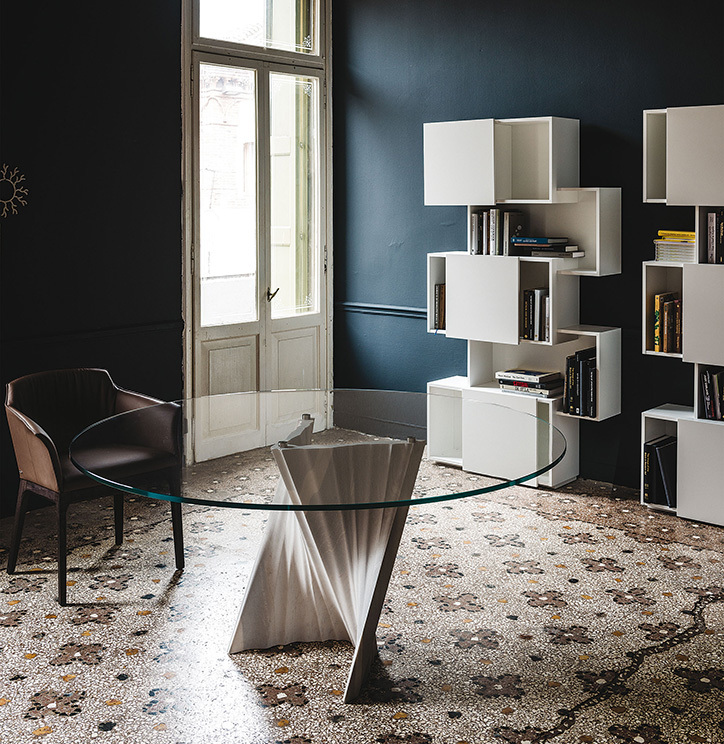 The Keramik Drive Table is the jewel of the Premier collection. 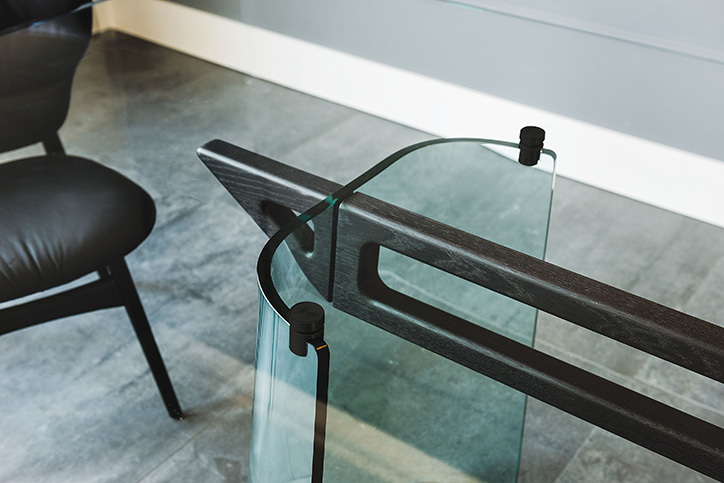 The way the table extensions move with smooth precision into place creating a seamlessly smooth, elegantly austere serving surface simply has to been seen in order to be believed. It’s an easy, solid, wonderfully transformative process that frees up enormous space in your home without compromising sophistication or style. 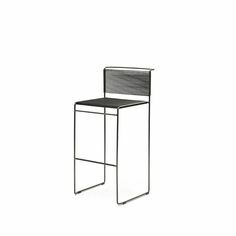 Cut from a single piece of Marni ceramic, the deeply fluid marbling and fine coloration move throughout the entire table top so you simply forget the table has been extended until you’re ready to change the configuration. Choices abound in this designer’s dream of a table, with 8 different surface colors and 3 base finishes to excite your palette. 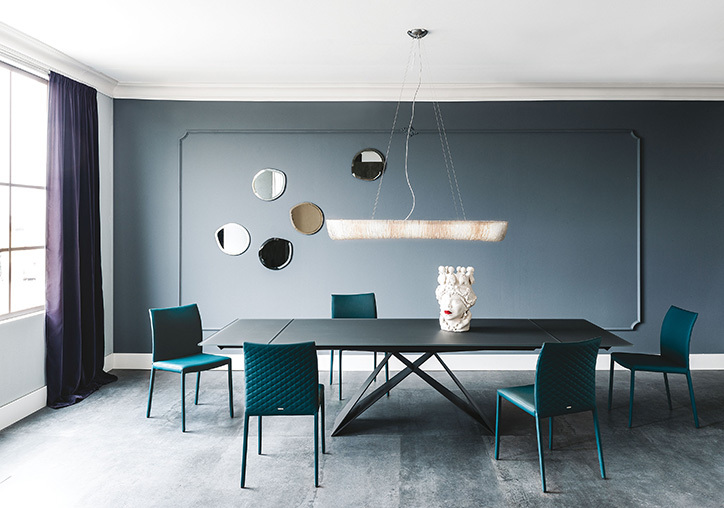 Superior design features, sublime colors and lines, this is Keramic Drive Table is a gem. 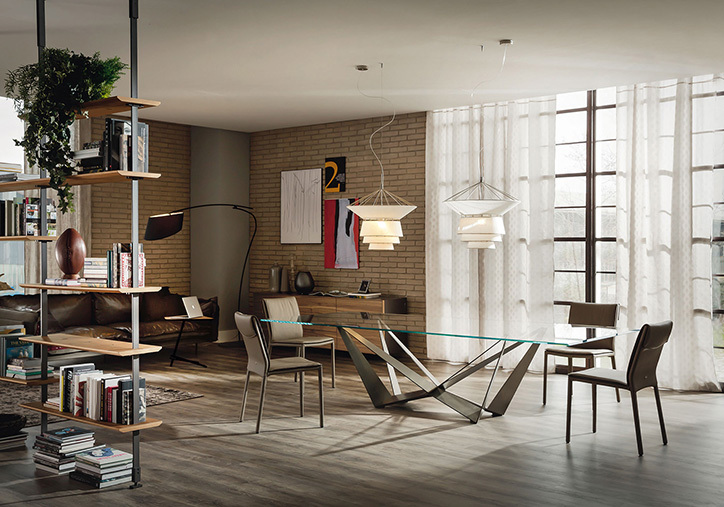 The Premier Collection by Cattelan Italia represents the optimum experience in fine Italian furniture design. 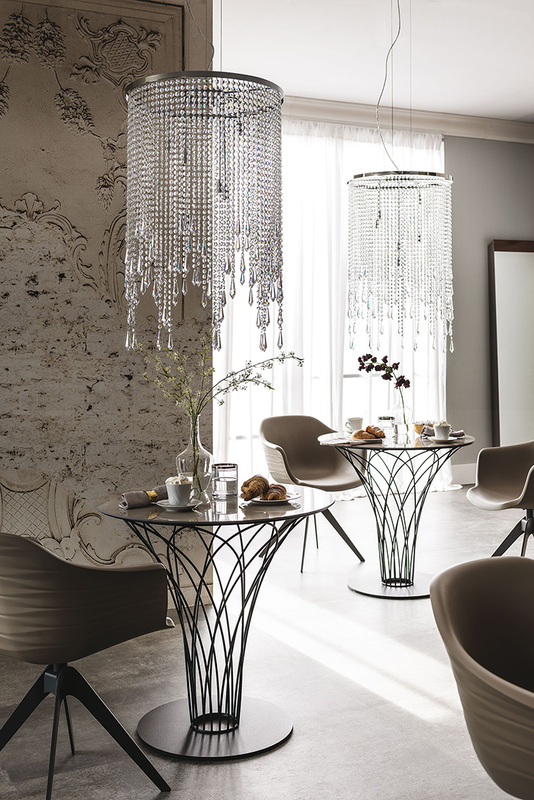 Andrea Lucatello and Giorgio Cattelan have collaborated to create a sculptural centerpiece for this collection. 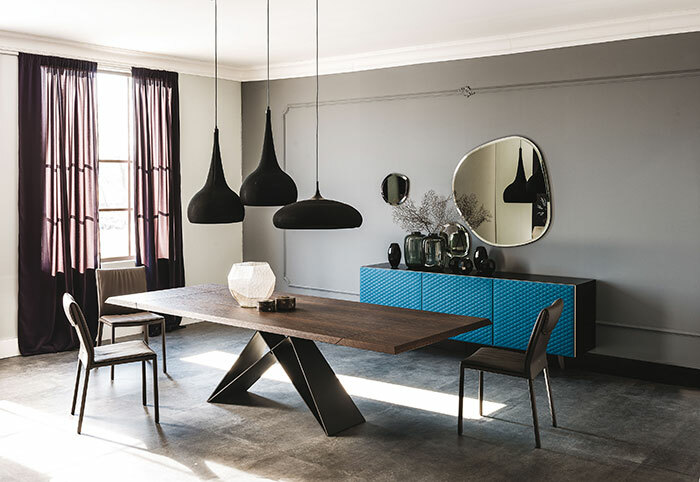 The Wood Drive Table is simply magical in its execution, effortlessly transforming from a space-saving dining surface to an expansive banquette table with clever lift-and-lock extensions. These leaves tuck neatly under the exquisitely chosen Canaletto Walnut surface making them virtually invisible in casual dining settings. Slide them out, lift, lock in place, and you’ve extended this divine work of Italian craftsmanship to its maximum length; an optional 109” overall. That’s an expansive setting for even the largest family gathering. Adding to the beauty and versatility of the Wood Drive Table is double diamond wedge base available in 5 finishes. 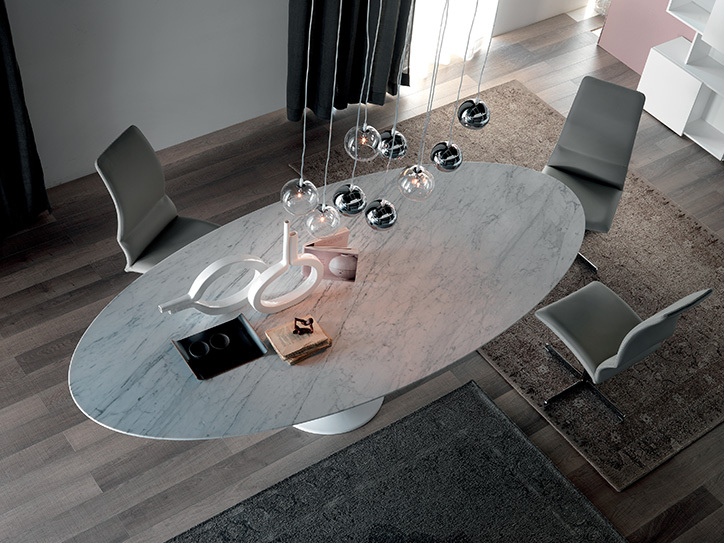 This table is a stunning marriage of innovative function and fabulous form. 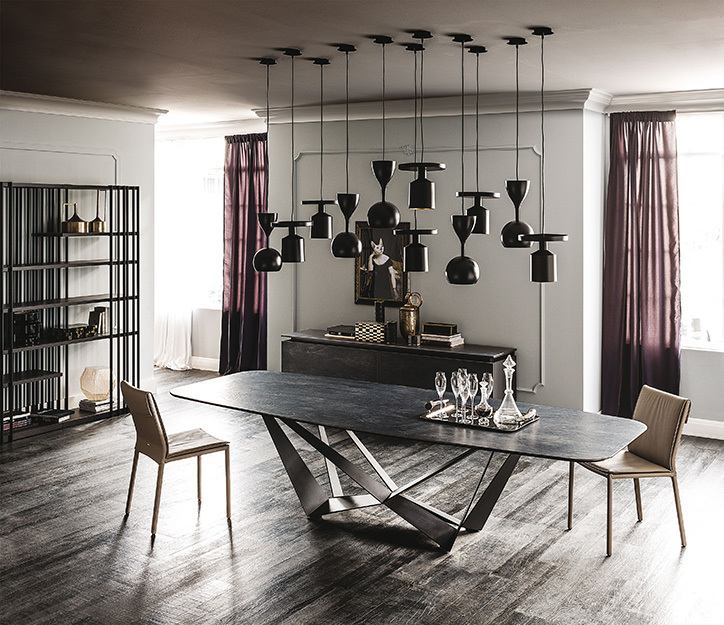 Paulo Cattelan has created a contemporary dining table that is both distinct and classic in it’s simplicity. 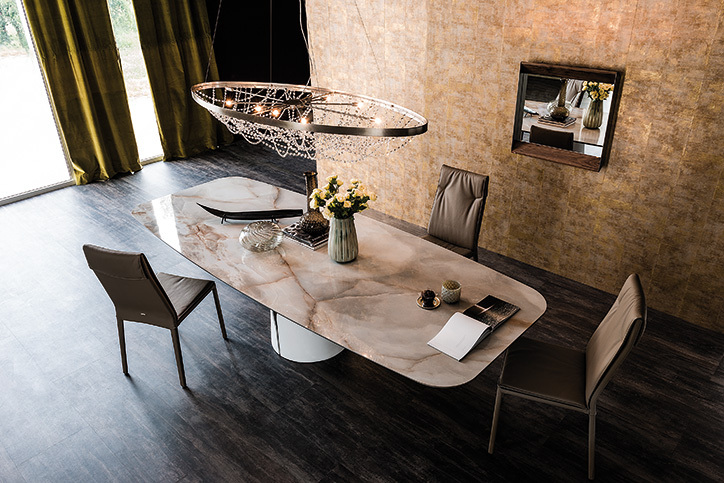 A wonderfully thin serving surface, presented in your choice of Alabastro, Ardesia, matt or golden Calacatta, the top is balanced on robust legs of titanium or embossed lacquered steel. 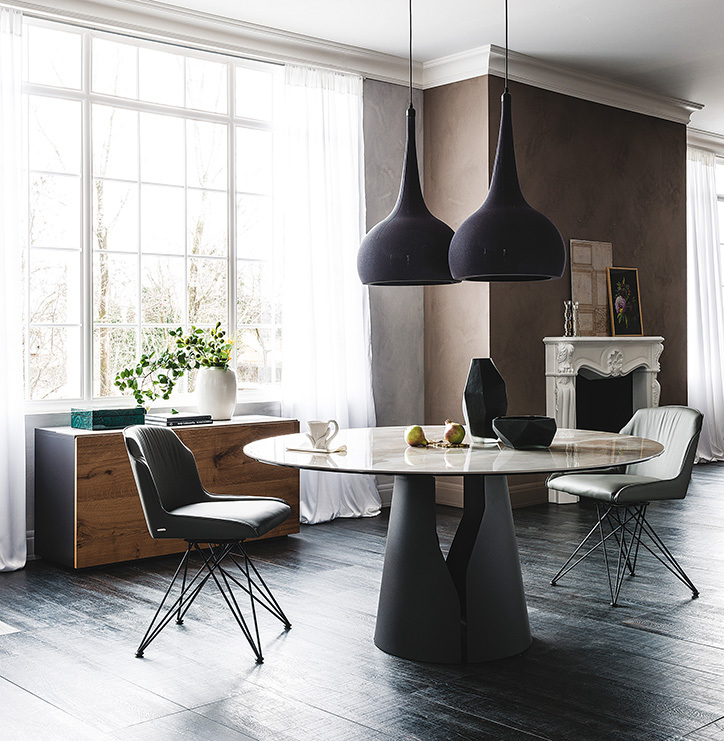 With the Roll Keramik Table, is configured to suit your seating and dining space with an option of 3-5 legs in varying widths. 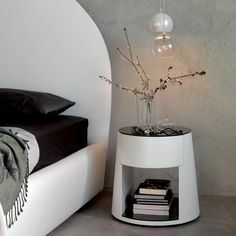 The concept is to create a unique silhouette perfectly in harmony with the lines and textures of your decor. 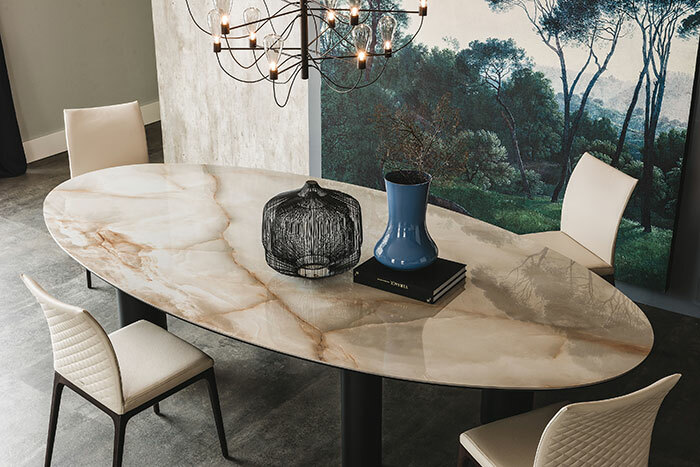 The durable and easy maintenance of Marni ceramic combines the beauty of a richly marbled table top with infinitely practical materials. 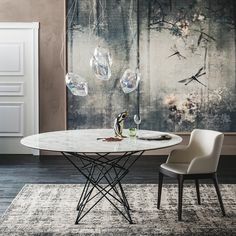 An interior designer’s dream, the Roll Keramik Table enhances the allure of the room while providing a large ultra-modern dining surface perfect for every event. 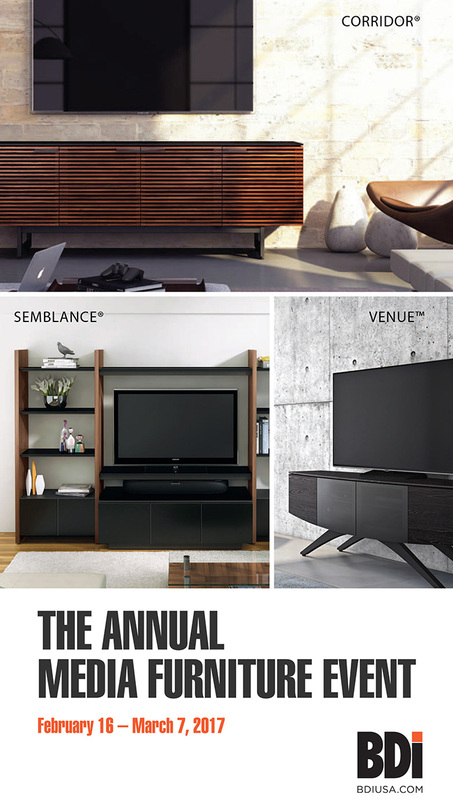 The Annual BDI Media Furniture Event.